Mining blockchain has become a contentious issue because of the amount of energy it uses and its speed, Microsoft are trying to solve both problems. Hot on the heels of its interest in Iota, a blockchain-like peer to peer cryptocurrency that does away with the need to use blockchain miners, that are the lynchpins of traditional blockchains, software giant Microsoft has debuted a new Blockchain as a Service (BaaS) product on it’s Azure cloud platform that allows enterprise organisations to deploy their own flexible instances of Ethereum, but unlike traditional blockchain products Microsoft’s, in what has to be a hat tip to Iota’s approach, doesn’t use miners. And it could be the start of an increasing trend to eliminate miners from the blockchain ecosystem. Announced this week, Ethereum Proof-of-Authority on Azure allows enterprises to build applications on an Ethereum blockchain that is not secured by a Proof-of-Work (PoW) consensus algorithm and consequently does not require mining — features that are better suited for networks in which participants do not trust one another. Born explained that, since all participants on an enterprise blockchain network are known and reputable, governance can be separated from network operation. 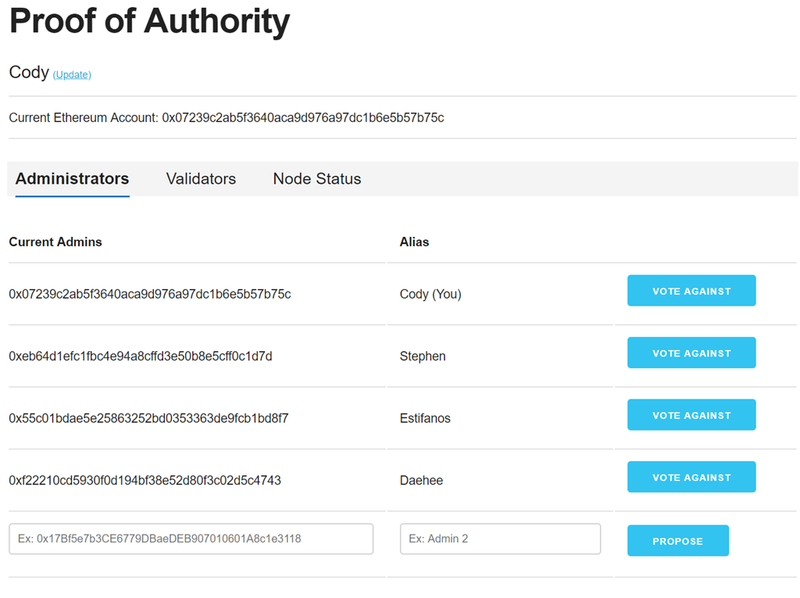 To this end, the Proof-of-Authority product features a built in decentralized application (dApp) called the “Governance DApp” that provides consortium members with the authority to govern the network or delegate their voting power to others. Network participants can also delegate other nodes to vote on their behalf in the event that their primary nodes go offline, ensuring that all members maintain continual consensus participation. Network administrators, in turn, can use on-chain voting to vote on and alter network authorities in a transparent and auditable manner. Along with Azure’s original, PoW-based Ethereum product, blockchains using this new consensus model can be deployed in as little as five minutes, providing enterprises with what Microsoft call a “Single-click” Distributed Ledger Technology (DLT) solution. To further increase the product’s usability, Microsoft has also integrated support for smart contracts built using Parity’s WebAssembly (Wasm) toolkit, enabling developers to write smart contracts in familiar programming languages such as C, C++, and Rust in lieu of learning Solidity, Ethereum’s primary programming language. Increasingly miners, which are some of the world’s largest energy users which is a problem in itself, are seen as adding an extra layer of complexity into the blockchain which in many cases has made organisations think twice about how and where they adopt the technology, but as we continue to see the rise of “Miner Free” blockchains we can also no doubt expect the number of enterprise adoptions to rise aswell.